Lillian Ann Marie Johnson, daughter of Francis Desales Johnson & Lucy Edwina Mattingly Johnson, was born on July 20, 1934. 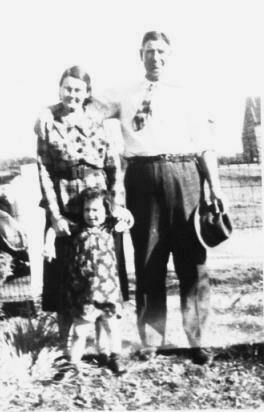 In this photograph she is the young girl between Francis Desales Johnson and Lucy Edwina Mattingly Johnson. She married Elwood Cleveland Payne on July 25, 1953 in St. Bernard's RCC, Riverdale, Maryland. He was the son of John Lewis Payne and Pearl Lena Payne. His brothers & sisters were John Lewis Payne, Jr., Le Roy, Patrick Benjamin, Joseph & Helen and He was born December 8, 1934 in Manassas, Virginia. All of their children were born in Prince Georges Hospital in Cheverly, Maryland.